Calabasas Dental Group and California Dental Care explains that people who are afraid of the dentist are more likely to suffer from halitosis. Dr. Feiz and his team take pride in the excellent level of patient care they provide, especially when it comes to cosmetic dentistry. According to an article published May 5th on The Daily Mail, a survey pointed out that almost nine out of ten people are concerned about their breath. In fact, it found that more than a third cited unappealing breath a one of their top dating turn-offs. The article explains that halitosis, if not caused temporarily by pungent foods or a failure to brush after meals, can typically be attributed to gum disease. Moreover, the article points out that levels of volatile sulphur compounds (VSCs), which are the gases responsible for bad breath, are approximately twice as prevalent among people with periodontal problems as they are in those in good oral health. This raises the concern that people who are afraid of the dentist are actually more likely to experience halitosis, as the article notes. Commenting on this article, Dr. Farzad Feiz, the head dentist at Los Angeles based Calabasas Dental Group and California Dental Care, this information adds to the reasons that people need to have a dentist who makes them feel comfortable, so that they can continually get the necessary preventative dental care they need. He explains that, by maintaining a regular checkup and cleaning regimen with one’s dentist, patients will not only experience a reduction in general oral health concerns such as gum disease, but overall better breath as a result. The dentist notes some of the aspects of his dental offices that keep his patients returning again and again. Compassionate Care – As the head dentist at Calabasas Dental Group and California Dental Care, Dr. Farzad Feiz has been providing effective oral health solutions for over 20 years. This means that he has seen a wide variety of patients, each with his or her own individual needs. If new or returning patients feel nervous before or during an appointment, the dentist explains, they only need to let his experienced team know – and they’ll do everything in order to make patients feel at ease and comfortable. 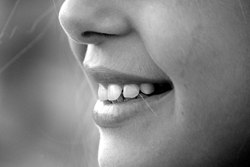 Cosmetic dentistry – While oral health is crucial, it is also important to feel at ease socially. This is why many patients seek out Calabasas Dental Group and California Dental Care not just to treat bad breath, but to improve their smiles, Dr. Feiz explains. The office notes that it offers a vast array of cosmetic services such as dental implants, tooth bonding, and veneers so that patients’ smiles can look their very best. Dr. Feiz and his team take pride in the excellent level of patient care they provide, especially when it comes to cosmetic dentistry. For more information about the range of dental services that Dr. Feiz and his team offer patients at Calabasas Dental Group and California Dental Care, interested readers can call their Calabasas office at (818) 660-0731, their West LA location at (310) 955-4008, or visit the dental center online at http://www.FeizDental.com.